Moving about the town and district one often hears anecdotal feedback on how the landfill and its activities are affecting people. If you have any feedback to offer about how the landfill affects you or about any attempts you’ve made to address this, please contact me by using the contact form on the contact page. SITE GUIDE: For more articles & updates on Bonny Glen or any other topic go to ‘categories’ at the left of the page or use the searchbox. I drove past the landfill myself yesterday … the locals’ predictions of toilet bowl certainly resonate, accompanied by prolific heavy traffic transporting refuse to the tip and squawking seagulls overhead. I made the mistake of opening my car windows and caught the foul smell that emanates from there. Toilet bowl does spring to mind. I wonder how locals put up with it and can see why it’s wafting over and being smelt in town. Still it’s stiff cheese as the saying goes. Small price to pay for that really good deal we’re apparently getting at the landfill. Whatever that was? And it’ll only be for another fifty years. In conclusion, the MCC appears to be giving merely the illusion of a democratic process. Clearly from Mr Allan’s report of 2011 and 12 events, that avenue for addressing pertinent issues didn’t work. I attended one of the MCC meetings last year to ask when an in-stream biota survey would be conducted to assess the aquatic life of the stream. They should be made three yearly according to the consent, however in Mr Allan’s submission he points out that there hadn’t been one since 2002. At the meeting I attended the Mayor Andy Watson was present and spoke to my question. There was no date given for a survey nor any indication there would even be one. In answer to my query, what action should I take as a member of the public or words to that effect, I was advised to email the Council (ie the Mayor and Councilors). I did that subsequently and have heard NOTHING since. Clearly the democratic processes within your democratically elected council are not working in favour of you the public who incidentally are funding the whole machine with your rates. Whom it does appear to be working for are the Bonny Glen Landfill owners, Midwest Disposals. No clean and green Rangitikei, just dirty smelly and polluted. It is a disgrace”. These are similar concerns to those already expressed by other locals. I’ve also been told by another person that their house literally shakes and rattles like an earthquake when these trucks roll by. Backtrack to mid 2014 and we had reports saying that if consents were granted to quadruple the landfill size the trucks are unlikely to be more numerous on a daily basis (Feilding Herald, 14 Aug 2014, page 7) … now the consents are granted and the landfill is set officially to almost quintuple we are told there WILL be an increase of trucks from an average of 42 to 73 per day (Manawatu Standard, 12 June, 2015). Note, I have also reported on the site other expressions of concern over trucking noise and speed. A truck every ten minutes (35 in a morning – modest estimate) and at very early hours. This person reported the dropping refuse along the way, and odour. This person is not alone in their concerns saying other neighbours are also fed up with the trucks. An article in the Wanganui Chronicle dated 20 December reveals some alarming detail about the leachate levels and lack of reporting and concludes with a public comment that indicates by their observations there are three trucks daily contrary to the one every two days cited in the article. 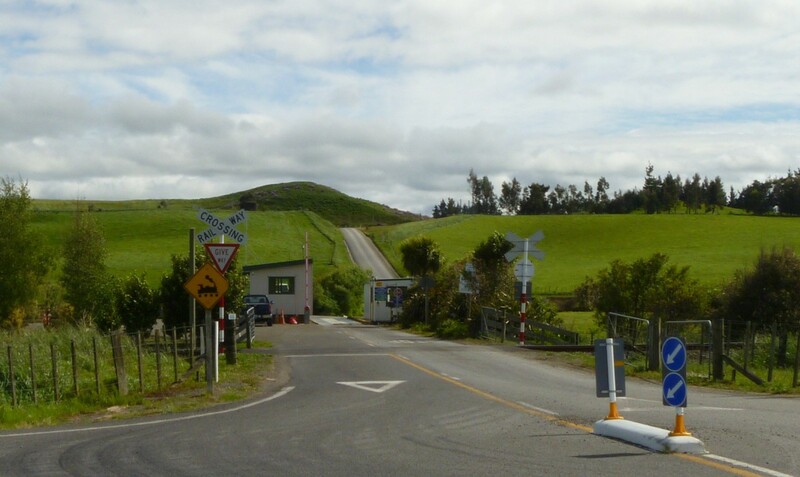 18 Dec 2014 I had a conversation with a person recently in Marton about the truck traffic to the Bonny Glen landfill. I was told that on an average morning (this person counts) there could be as many as 35 trucks passing to or from the tip. Now that’s a modest estimate I was told as there are other trucks coming and going which look like dump trucks heading to Bonny Glen but may not be so they were excluded in the count. What the person noted of concern is the smell (one company’s trucks in particular smell), the dropping or flying off of bits of refuse, their excessive speed at times and their noise. They can be heard as early as 5:30am, waking the household. The day 35 trucks were logged began at approximately 8am and finished around 1:30pm, although trucks were still passing beyond that time, they just stopped counting. This then averages one every 10 or so minutes! This is on one of the routes, a street that is in town and well populated. Bear in mind … the consent application sees the volume of rubbish quadrupling … do the sums. Not pretty for those on the truck routes. So the official report initially wanted us to believe there would be no increase in trucking even though the rubbish was quadrupling in volume. This was so you, the public, would not make a fuss before the consents were granted. Now we are told it will almost double which those of us who did the sums knew anyway. Interesting isn’t it, the tales they spin? If you’re concerned in any way with the state of affairs concerning truck nuisance, put them in writing to the RDC Mayor and Crs, and/or make them known at the Community Committee meetings that meet every second Wednesday of the month. Details on the RDC website. This forum is a conduit between community and Council. It would be good to independently test our local water for leachate ingredients. The cost however is from $50 upwards depending on the number of chemicals named. Very cost prohibitive. If you feel inclined to donate anything towards the cost of an analysis of our local stream water in one of NZ’s testing labs, please contact me. (This site is a free WordPress site – it produces no revenue for the author, and any ads on it are placed there by WordPress because it is free). In 2018, 0.16 tonne. According to OI to DoC. To Chem R&D Marton, it does not specifically state landfill (Bonny Glen) however I would expect it is Bonny Glen.